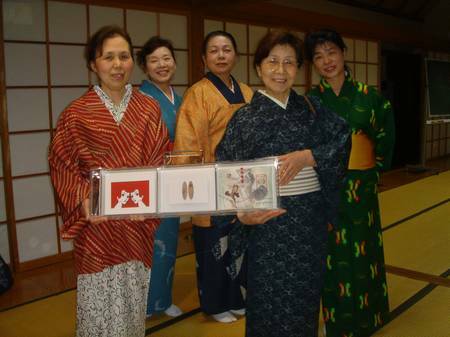 We are�from Sydney, NSW, andhave chosen�Sydney, Tokyo�and Nagoya as our major zones of exchange for our first�Match Box Project.� Sydney & Nagoya are sister cities and NSW and Tokyo Metropolitan Government are sister states. In May, Leanne and I travelled with Match Box Galleries to Japan. It was Leanne’s first venture to the land of the rising sun,�whilst it was my 7th time.�I have lived on and off in Japan for the past 12 years. We travelled�to Fukushima where I was based for a year in 2002 and to�Tokyo and Nagoya�to explore the art scenes and�introduce the Match Box Projects to future participants. 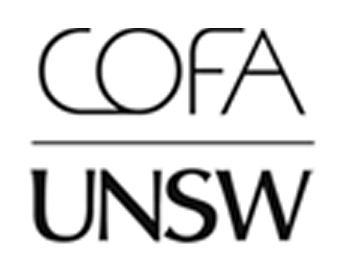 We thank the following for their support. 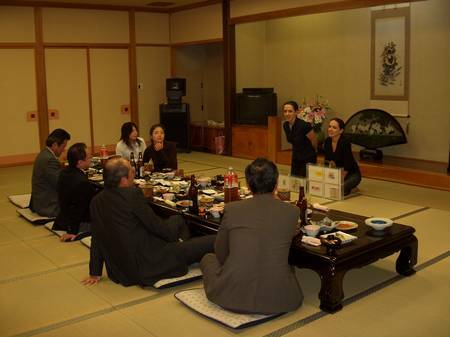 Introducing Leanne to traditional Japanese Food, and The Australia-Japan Match Box Project to Furudono councilors, including the Mayor of Furudono. 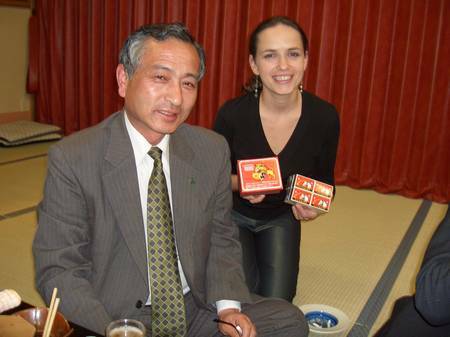 Leanne recieving her first Match Boxes from Japan from Azuma-san, Director of the Furudono Board of Education, who we also thank for him and his staff’s generous time and hospitality during our stay in Furudono. 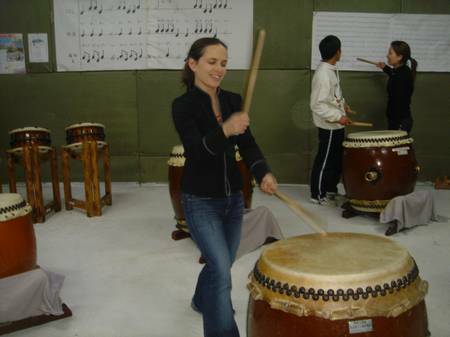 Leanne trying to play the Taiko! 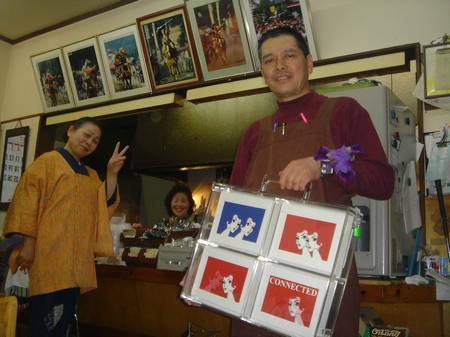 Introducing the Match Box Projects to my special Friends in Furudono. 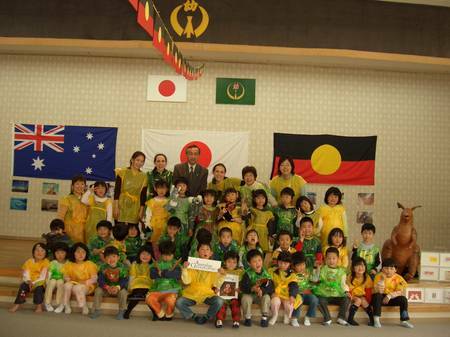 Whilst in Furudono, we introduced the young members of the community to Australian culture with Experience Australia activities at the local primary schools, kindergarten and Community Centre. 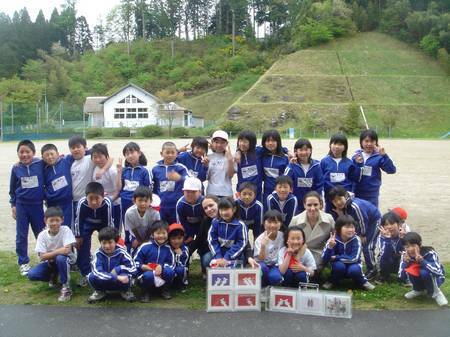 We went back to Furudono Kindergarten the next day where we were presented with wonderful gifts for our boxes. 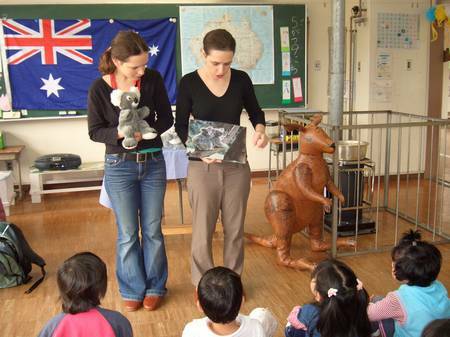 The above activities were made possible thanks to Todd Tai, Ad Office, Macquarie Japanese Studies Centre, Macquarie University, and Qantas.